If you are looking to buy a mattress online, two options stand out – Leesa and Tuft & Needle. These two brands are some of the most popular mattress companies, and buyers find it incredibly hard to choose only one. Making the right choice can be quite confusing since you don’t get the chance to try any of the products out beforehand. 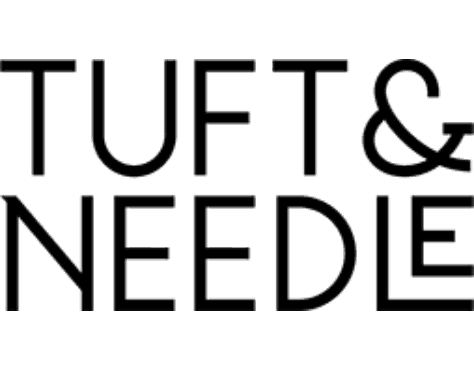 Both Leesa and Tuft & Needle perform very well. However, each mattress has a unique feel, as well as its own advantages and disadvantages. Here is a comprehensive overview of both mattresses that will hopefully help you make up your mind. Thickness 10 in. 10 in. 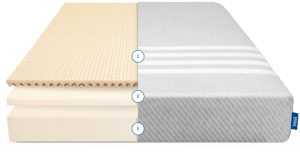 Both Leesa and Tuft & Needle mattresses are made out of multiple foam layers. The Leesa mattress is a true hybrid since it is made out of three unique layers. The bottom layer is 6” thick and it is, basically, a heavier base foam that brings in major support. The middle memory foam layer is only 2” thick and it is used to provide pressure relief as well as support. However, what makes the Leesa mattress stand out is its proprietary foam. The top layer of the mattress is called the Avena foam and it provides comfort and cooling. Avena is a type of foam that is corrugated and meant to be more durable and lasting than latex. The top layer also makes the Leesa mattress great for all sleeping positions. In addition, this mattress has a bold, striped cover made out of polyester and lycra which make the fabric light and breathable. On the other hand, the Tuft & Needle mattress has a slightly different construction. It is made out of two foam layers. The bottom layer is made out of a thick support foam that serves as a sturdy foundation and it is 7” thick. The top layer consists of a high-performance polyfoam created by Tuft & Needle. This layer is 3” thick and it provides additional support and sinking comfort. When it comes to the cover, it is minimalistic in terms of its design and completely white. The cover is made out of polyester nylon which allows more effective cooling. Both mattresses have similar construction and that makes their weights very similar. However, the Leesa mattress is slightly lighter, most likely due to its lighter layer of support foam. Despite the slight difference in weight, both Leesa and Tuft & Needle mattresses are comparable when it comes to moving, lifting, and rotating the mattresses. Besides being heavier, the Tuft & Needle mattress is also firmer. It has a 7 out of 10 rate on the firmness scale, most likely because of the lack of memory foam and the thick bottom layer. On the other hand, the Leesa mattress received a 6 out of 10 rate, making it perfect for people who experience back pain. The slight difference in firmness makes the Tuft & Needle mattress the right choice for all those who are looking for more support. The mattress will still sink up to an inch when you are lying on your back. However, these low sinking capabilities might make the mattress uncomfortable for those who are light in weight since they may end up floating on the top, which, in turn, creates additional pressure points. On the positive side, floating on top is a great solution for hot sleepers. One important thing to keep in mind when buying a mattress is that the comfort of the mattress depends on the preferences as well as the sleeping style of the buyer. For example, back sleepers typically prefer a firmer mattress for support whereas side sleepers need more cushion because of the increased pressure. That is why both Leesa and Tuft & Needle tried to create mattresses that will suit all different types of sleepers. Since the Leesa mattress is slightly lighter and softer than the Tuft & Needle, it also offers greater pressure relief. Based on customer ratings found on Sleep Like the Dead, average-sized and large back sleepers find the Leesa mattress comfortable. Sleepers that are light in weight also rated this mattress as “good to fair” in terms of its comfort. Side sleepers who are average-sized or overweight rated the Leesa mattress as “good to fair” whereas smaller side sleepers find it to be “fair” only. 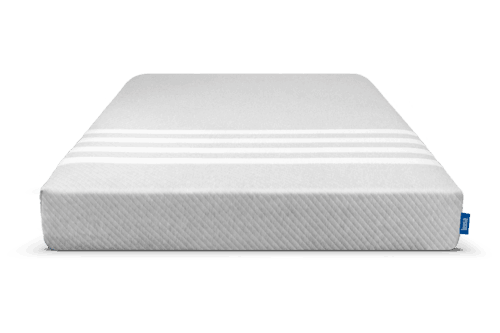 Last, but not least, stomach sleepers who are average in size gave this mattress the best rating. Both the Leesa Mattress and Tuft & Needle come with a 10-year warranty and a 100-night sleep trial. When it comes to the price, there is a slight difference. In general, the Leesa mattress is about $200-$300 more expensive, depending on discounts or manufacturer’s current offers. Even though the Tuft & Needle mattress costs only a few hundred dollars less, this still places it in the same price range, making both mattresses an affordable option. However, even such a slight difference in price can mean a lot to the buyers who are on a tight budget. One thing that some buyers might appreciate is the philanthropic side of the Leesa mattresses. The manufacturer has partnered with charities and they donate one mattress for every ten mattresses sold and plant one tree for every mattress they make. So, Leesa would then be a more ethical choice for all those who support philanthropic efforts of companies. Should I buy the Leesa or Tuft & Needle mattress? 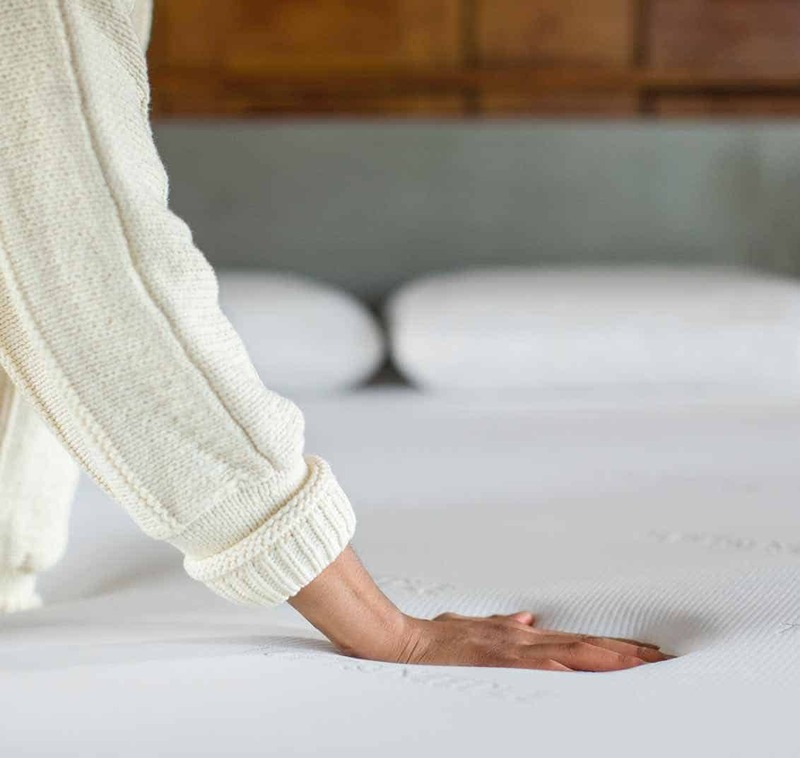 Since both Leesa and Tuft & Needle mattresses have their own advantages and disadvantages, one question remains – which mattress is the right one? The answer to this question depends on the buyer, their personal preferences, and of course budget. Leesa mattress is definitely a better choice for overweight persons. It is softer and will provide proper support for joints or pressure points. In addition, all those who sleep hot will appreciate Leesa mattress more due to the Avena foam on the top of the mattress that provides comfort. Heavier people sometimes sink into softer beds and this can also make them hot. Thanks to the air pockets in the top layer, you can stay cool and dry even if you do sink into the mattress. In addition, those who like a bit of memory foam but not sinking deep into the bed will definitely be pleased by the thin memory foam layer. It is only two inches thick and it will cushion your body while ensuring that the mattress is not too soft. When it comes to the Tuft & Needle mattress, it has similar features to the Leesa. One downside to this mattress is its basic construction; it consists only out two layers. However, the lack of the third layer makes this mattress more affordable and also the perfect choice for those who are on a budget. But don’t let the price tag mislead you. Just because this mattress is cheaper doesn’t mean that it lacks the features that the Leesa mattress has. 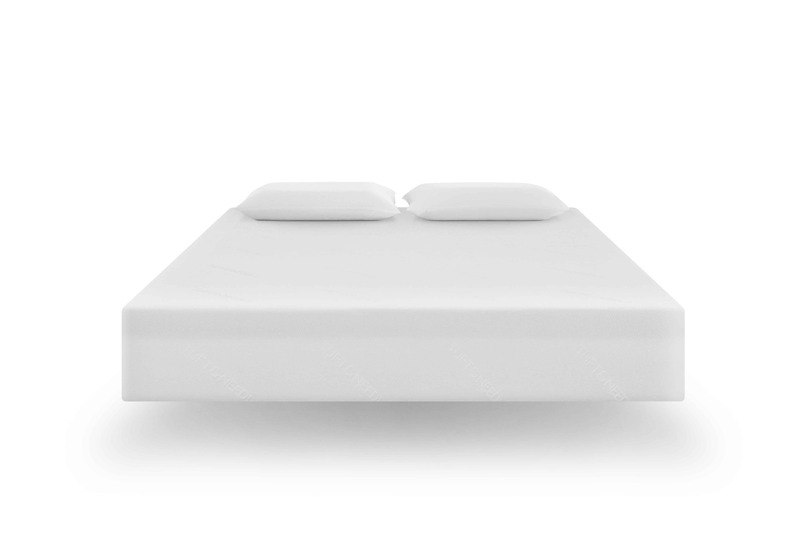 The Tuft & Needle mattress is also a great choice for those who sleep hot. Since it is on the firmer side, the chances of sinking in the mattress are very low. Most importantly, many customers of all sizes and preferences reported that they were satisfied with this mattress.